Defining week for the channel as enemies edge into battle. As one heavyweight bulks up on the assets of a rival, a welterweight sheds its stock in pursuit of leanness. Consequently, a defining week for the channel is emerging, as the warring Dell and Hewlett Packard Enterprise prepare to solidify respective go-to-market strategies. In Dell’s case, its upcoming multi-billion dollar acquisition of EMC will be finalised on September 7, creating the world’s largest privately-controlled, integrated technology company in the process. Meanwhile, speculation is intensifying that HPE is on the verge of selling its software division to private equity firm Thomas Bravo, in a move designed to allow the vendor to focus on its core offerings around servers, networking, storage, business critical systems and technology services. Should both go through without interruption, the channel will be presented with an ultimatum based around two market leading vendors with very different visions for the future. As one analyst put it, Dell’s planned purchase of EMC makes it like the General Motors of IT, with requisite broad and deep product coverage and all the challenges of providing complementary service. The acquisition runs against recent trends toward exiting product businesses or disaggregation, where HP and Symantec broke up and IBM sold off numerous businesses. “The IT marketplace is shifting,” Technology Business Research principal analyst, Geoff Woollacott, said. “The challenge for Dell-EMC will be whether it converges on the right trends. Where the IT landscape is shifting from on-premises products to cloud/”as a Service”-delivered subscriptions to IT services, vendors have shifted their go-to-market strategies and corresponding ecosystems dramatically. For Woollacott, the combined entity will be better able to deliver solutions to large and midsize business customers. “Separately, Dell and EMC sought to move from hardware sales to software-led solutions selling,” he explained. Yet Woollacott, believes that it remains to be seen if the companies are “truly better together”, given the ability to address the “as a Service” transition. Consequently, time will tell whether the combination of Dell and EMC leadership, products, sales and go to market will provide new value to end customers, given the tie-up between companies does little to capitalise on the “as a Service” economy. “The shift to “as a Service” has Dell-EMC competitors, including IBM and Microsoft, moving from component/solution sales to subscription-based sales models,” Woollacott added. Amidst the “as a Service” transition however, Woollacott believes that VMware will continue to remain the wildcard in the Dell-EMC tie-up. “VMware, which faces market challenges in open-source competitors, will provide key software assets and customer entry points to the new Dell-EMC,” he added. “VMware’s virtualisation-based, software-defined data centre capabilities will form the tip of the spear for Dell-EMC solutions and its guidance could also lend a hand to a new Dell-EMC subscription service model. 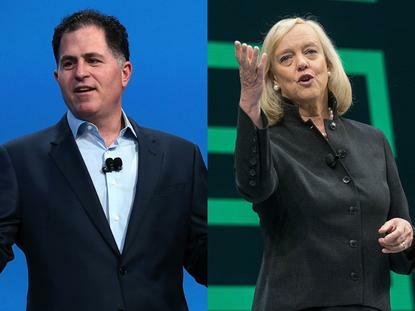 Since the Dell deal hit the front pages of tech media around the world, HPE CEO, Meg Whitman, has pounced on countless opportunities to question Michael Dell’s grand vision for the future of the industry. 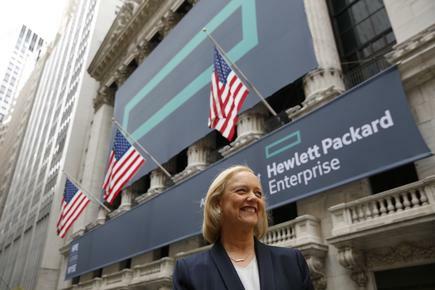 Citing ongoing confusion within the market, Whitman said HPE “decided to get smaller while they got bigger”. “We decided to lean into new technology while they’re doubling down on old technology in a cost takeout play,” said Whitman, during an analyst call in March. Yet despite rival vendors lining up to pour scorn on the acquisition, Woollacott believes customers will take the EMC-Dell tie-up in their stride. However, loyalty will be tested in the short to mid-term with HPE, IBM, Lenovo, Cisco, Oracle and others expected to launch customer take-away campaigns immediately after the finalisation of the deal. Specific to HPE however, Whitman entered 2016 seeking to apply its newfound independence to execute in a more agile manner on customer transformation initiatives as well as competitive displacement opportunities. As customers accelerate spending in areas such as hybrid cloud services and hyper-converged platforms, and competitors such as Dell, EMC and Lenovo navigate significant business model evolutions, 2016 remains a critically opportunistic year for HPE to secure its existing installed base and target net new accounts. “During the remainder of the year, we expect portfolio and investment discipline and the centralising and modernising of HPE’s go-to-market approach,” Technology Business Research senior analyst, Krista Macomber, added. In line with objectives outlined by Whitman in 2015, Macomber believes such properties will “remain top of mind” for HPE as it seeks to improve its cost structure and secure its position as a transformation change agent for customers. “Navigating increasingly co-opetitive alliance models will increasingly influence HPE’s ability to continue improving its financial performance,” Macomber explained. Under Whitman's leadership during the past five years, Hewlett-Packard has significantly changed direction, breaking the business into three. First came the much-publicised split, giving birth to both Hewlett Packard Enterprise and HP Inc, and most recently came its Enterprise Services spin off with solutions and services provider CSC, in a $US8.5 billion deal. 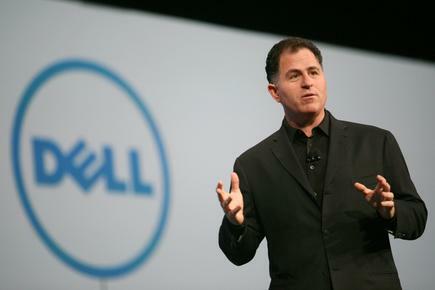 Mocked on stage at EMC World 2016 in Las Vegas, Michael Dell proclaimed that the tech giant is “shrinking their way to success”, with the high-level slanging match refusing to go away. Yet as HPE chases nimbleness, for Dell, balancing and redirecting the energies of two traditionally hardware-focused corporations into a new software-centric entity will impact every facet of both companies. “The sheer size and breadth of the Dell-EMC entity makes for a difficult marriage,” Woollacott cautioned. The new company will be significantly larger, therefore likely less nimble. Irrespective of industry alliances however, the channel acknowledges that this fight for supremacy will go down to the wire, yet as the blows trade and the rivalry intensifies, who will be left standing?